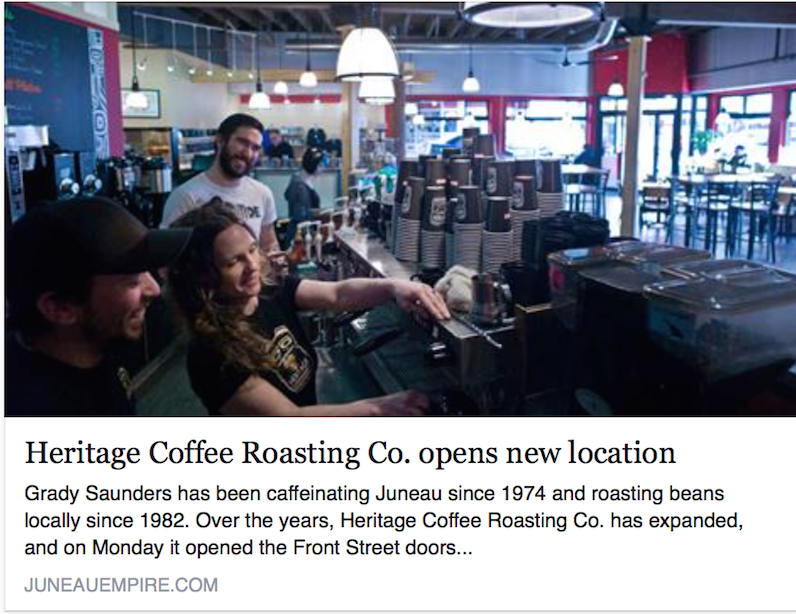 Congratulations to Heritage Coffee – Juneau, AK, on opening their new location! Guess who designed their logo, coffee cups, packaging, new menu and website! Yes the creative and hip crew at Clear Mind Graphics! You need it, we can create it.